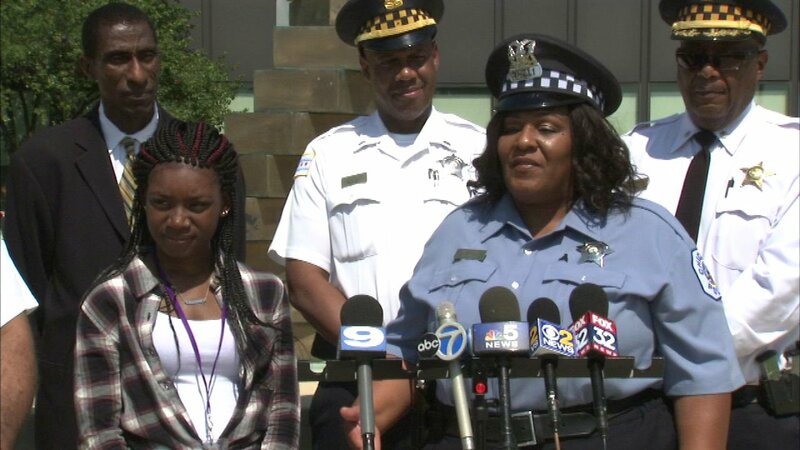 CHICAGO (WLS) -- A young mother started college Monday and she said it's thanks to a Chicago police officer who has stood by her side. Alante Williams is attending Olive Harvey College. The mother of two lost her own mother several months ago and did not have any other family members to lean on. But she did have Officer Vivian Williams, no relation, who worked at Corliss High School where she was a student. "She told me not to let people judge you, go forward, be something in life and make your mama proud," Alante said. "I told Alante short of God taking me away from you, I'm going to be here for you," Officer Williams said. Alante and her daughters are currently living with Officer Williams.